How to Fix Slow Buffering Problem on Kodi XBMC? Buffering is torture, whether be on YouTube or any other streaming service like Kodi. In this video, I will tell you how you can reduce buffering issue on Kodi Krypton and also on Old Kodi Version. Before that let’s have a brief summary. Kodi XBMC is the best place for watching TV shows, movies, sports programming, music, live TV, images and much more. But many a time you may face issues with the Kodi app for computer PC, Android, Firestick, iPhone etc. The most annoying issues with Kodi Add-Ons is Buffering or Loading issues while trying to play a stream. 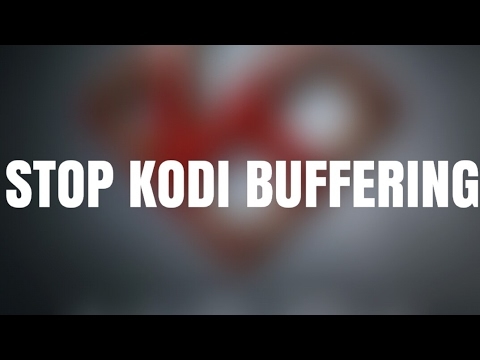 Today in this post I will show you how you can fix the issue of Kodi Buffering problem. Only a single Addon is enough to fix the issue. You need to apply the tweak to ensure the settings are working and you hopefully will get better off the buffering torture on the Kodi. Why the Kodi Stream Buffers? How to Fix Kodi Buffering Problem for Any Kodi Box? Before moving forward we need to turn ON the Unknown Sources on your Kodi Krypton 17.0+. To do so, Click on Systems Icon and click on System Settings. Now under Addons just enable Unknown sources. Click on Settings Icon and open File Manager. Now go back to the home screen and click on Add-Ons and here click on the box icon on the top left. Now click on Install from Repository and click on Ares Project. Open Program Add-ons and Install the Ares Wizard. Now again go back to Home Screen. Click on Program Addons and open Ares Wizard. In AresWizard page click on Tweaks. Here click on Advanced Settings Wizard. Click on ‘Next’ option and click on Generate Settings and Apply the settings. A .xml file will be created. Reboot the Kodi App. The changes will be applied and you will notice a change in buffering of the Kodi streams. How to Fix Buffering Problem on Kodi Krypton? Many a times database obsolete files may cause the issues. So it’s better to delete the database file on your PC or Android device to fix the problem. Go to settings of Kodi. And click on the File Manager. Now click on Profile directory (Present by default). For Android: Long on the Addons.db and simply delete the DB. For PC: Search for %Appdata in windows and open the Kodi> User Data> DataBase and look for Addons.db file and Delete it. Now go to home page and click on Add-On and click on box icon on the top. Now click on Install from Repository and click on RAW Maintenace Kodi Add-on. Open Program Add-ons and install the Raw maintenance. Done! Once you have successfully installed the Raw Add-on. Go to home page of Kodi. Click on Program and open the Raw Maintenance. Under Raw Maintenance clear the Cache & Purge Packages. Conclusion: I hope the post solved the issue with buffering on Kodi. And the single Add-On helped you the most. Do comment below for any of the assistance or suggestions. If you've any thoughts on Fix – Easy Way to Stop Kodi from Slow Buffering Issues, then feel free to drop in below comment box. My system is still freezing after this fix.